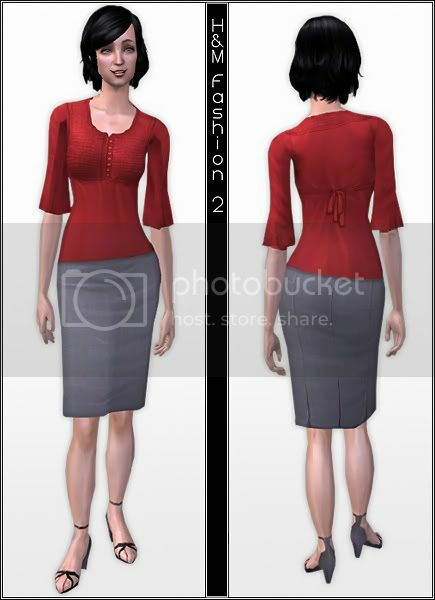 Mod The Sims - H&M Fashion... for elders. I taked some of the new H&M textures and I puted them in these wonderful meshes of AllAboutStyle (thank you to think that sims are not only adult woman). Mesh_AAStyle_FEslimdresssleeve_042507.package (included in "Designer Print"). Mesh_AAStyle_FEslimdress_042407.package (included in "Jean Skirt/ Wrap Top"). Hair 5: Sims Artists Union. I want to thank the many people who have sent me PM and who have commented in my posts. You are sweetie. 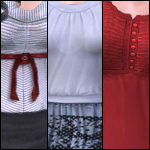 Comfy Sleepwear Mesh + Big Recolour Pack! Rocawear Sportswear - New mesh!